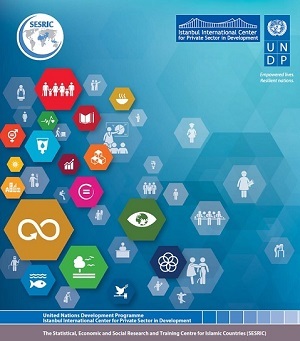 "Best Practices Guidelines and Toolkit on Engaging the Private Sector in Skills Development”, jointly developed by SESRIC and UNDP Istanbul International Center for Private Sector in Development (IICPSD), will inspire, motivate and mobilize the private sector for its active engagement in skills training for employment. The guidelines and toolkit will help stakeholders to collaborate more closely with companies, chambers of commerce and business associations. It outlines how the private sector could contribute to the employability of individuals through providing labour market signals, improving technical and practical skills acquisition, integrating industry know-how and expertise to every step of the trainings and help link skills to placement opportunities. These will ensure that disadvantaged youth, women and other marginalized groups are ready to enter the labour force with possessing the right skills they need to thrive. The publication presents a number of lessons learned from a review of current practice and existing literature on industry engaged in skills development and, based on these lessons, develop a set of guidelines and tools for practical use. The document also provides information on and examples of private sector engagement in skills development at the national, sectoral and local level. In this context, The Guidelines and Toolkit is a very timely knowledge product which guarantees to guide all stakeholders in the direction of improving the existing skills and reducing the skills mismatch for greater employability of the target groups. Dissemination of the best practices and tools for employability highlighted in the publication is utmost important to build resilient communities and open pathways for sustainable and inclusive development.